Please enter a City, Hotel, State/Province, Country/Region, or Airport Code. Get a fourth night on us when you stay three consecutive nights at select Hyatt Place hotels through May 15. Terms and conditions apply. Stay 3 nights, receive the 4th Night Free offer is only available for eligible stays between March 13, 2019 and May 15, 2019 that are booked by May 11, 2019. Offer only valid at participating Hyatt Place hotels on qualifying stays. Reservations subject to availability. Offer only available for a limited time, while shown as available on the applicable Hyatt website. Offer only available if booked online by clicking on the then-available offer (if any); any limitations or restrictions included in the published offer shall apply. Guest must use free night during stay in which it is earned and stays must be completed by May 15, 2019. Guest must check out on or before May 15, 2019 to be eligible for the offer. Guest will forfeit any unused portions of this offer. Free night will be forfeited if you have an early departure or otherwise do not meet the minimum stay requirements outlined in the published offer. Free night reflected at time of booking, no further discounts will be made. The complimentary fourth night is available with eligible three consecutive paid nights. Offer excludes any applicable taxes, food, beverage, resort fees, service, casino, or incidental charges and gratuity. World of Hyatt® points and night credits will not be awarded for the free night (if applicable). Guest is responsible for all charges exclusive of this offer. Additional charges may apply for additional guests or room type upgrades. The availability of offers at and travel to and from certain destinations may be subject to government approvals, regulations, restrictions or applicable taxes. Offer is not replaceable if lost, destroyed, stolen or expired, and void if altered, photocopied, reproduced, copied, purchased, sold or otherwise transferred. Not valid with Family Plan rooms, group travel, conventions, other promotional offers or certificates, tour packages or special rate programs. Not redeemable for cash or other substitutions. Any unauthorized transfer, sale, distribution or reproduction constitutes fraud. Hyatt reserves the right to request a form of security deposit in advance for expenses not covered by this certificate. Offer cannot be exchanged or reissued. User is responsible for and must make any required disclosures regarding any benefits received in connection with this offer. Offer not valid in conjunction with previously booked or held stays and may not be combined with other offers or rate plans. All length of stay offer hotel reservations require full, non-refundable prepayment at time of booking. Promotional blackout periods may apply due to seasonal periods or special events, and normal arrival/departure restrictions apply (unless otherwise noted). Hyatt reserves the right to alter or withdraw this offer at any time without notice, where required, Hyatt will offer an alternate offer of similar value. Void where prohibited by law. The trademarks Hyatt®, Hyatt Regency®, and all related marks are trademarks of Hyatt Corporation or its affiliates. ©2019 Hyatt Corporation. All rights reserved. At Hyatt Place hotels, we understand that every trip has a purpose, and every stay should be an opportunity to recharge and make the next day more successful than the one before. After all, you never settle. So neither do we. Wake up to breakfast served fresh every day. Start your morning with hot breakfast items, fresh fruit, local and regional specialties, and more. Pair your breakfast with coffee, milk, juice, or tea. 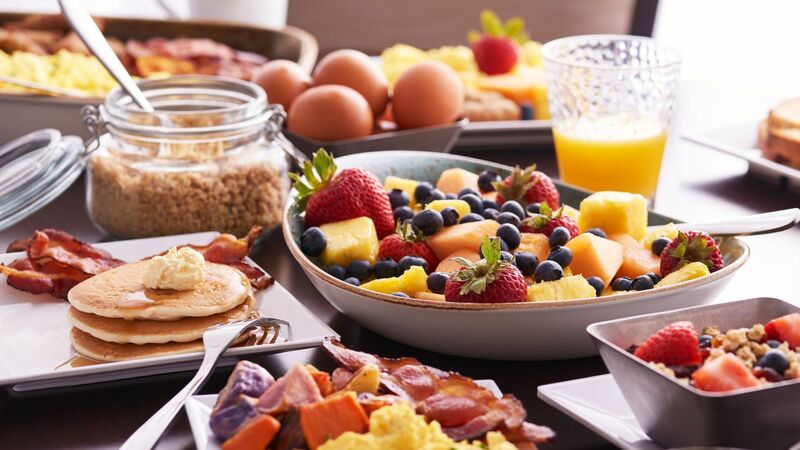 Breakfast is free with your World of Hyatt membership when you book an eligible rate at participating Hyatt Place hotels. Not a member? Join as you book to enjoy free breakfast starting with your first stay. Eligible rates are defined in the World of Hyatt program terms (see worldofhyatt.com/terms). Eligibility for complimentary breakfast may vary at Hyatt Place hotels outside the United States. In Europe, the Middle East, Africa, and India, complimentary breakfast may not be available to all members. Please speak with a hotel representative for details. Our 24/7 Gallery Menu features craft cocktails and freshly prepared bar bites and shareables made with premium ingredients. On the go? Head to the 24/7 Gallery Market for prepackaged salads, snacks, and desserts. 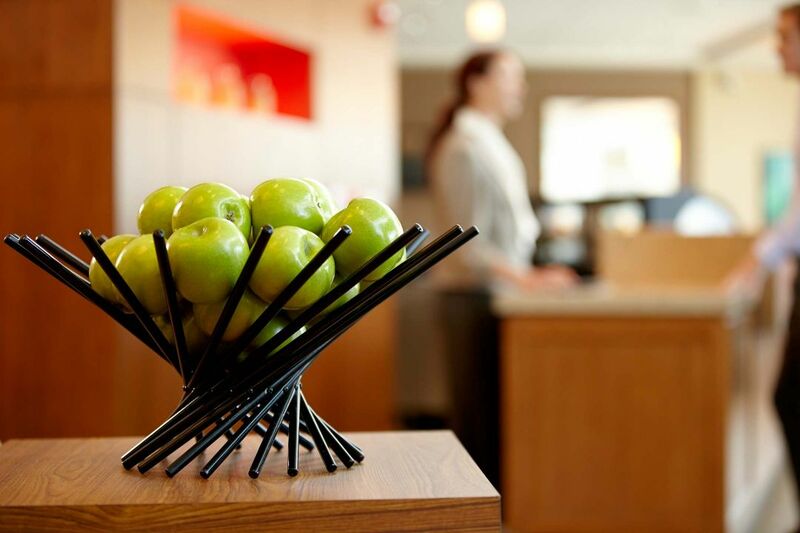 Stay at Hyatt Place hotels to enjoy rooms and suites thoughtfully designed around you. With dedicated spaces to work, sleep, and play, each roomy room features a comfy Cozy Corner sectional sofa, spacious desk, contemporary bathroom, and more. The Gallery is the perfect place to relax with your morning paper, or mix and mingle following a day’s work. No matter the time of day, the Coffee to Cocktails Bar serves your a.m. caffeine fix and p.m. craft cocktails. Work whenever and wherever you want with work spaces designed around you. Go from your room's spacious desk to the 24/7 Business Center to the inspiring Gallery. Hosting a group? Our hotels offer meeting spaces equipped with audiovisual features, catering, and a customizable room setup. Rated the #1 Upscale Brand in the 2018 Business Traveler News Hotel Brand Survey, Hyatt Place hotels are designed with one purpose in mind. Yours. you've come too far to settle now. worldwide, Hyatt Place hotels offer 24/7 conveniences for a seamless stay that will exceed your expectations.